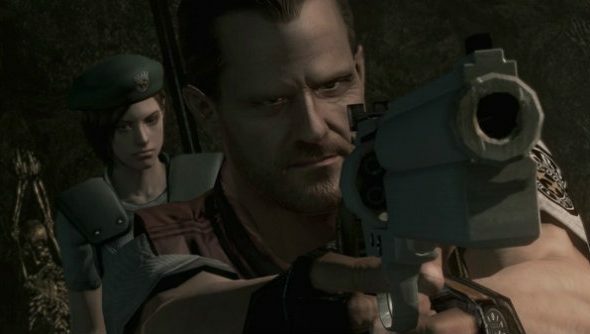 The Resident Evil HD Remaster is a lesson in how to do remasters: make it prettier, improve the sounds and update the controls. Leave everything else alone and let players bask in nostalgia as seen through a modern lens. Did you know Capcom plan on releasing more HD remasters of popular older games? One thing was wrong with the REmaster, though: the voice acting just wasn’t cheesy enough. I wanted Barry to say Jill was “almost a Jill sandwich” in his Barrytone (heh, heh, heh) voice. And please let me hear Chris say “looks like we got to the… root of the problem” after defeating a mutant plant. Basically, I want all of the good stuff. Luckily, a modder has answered my prayers, meticulously adding the voice acting from the 1996 classic into the REmaster.